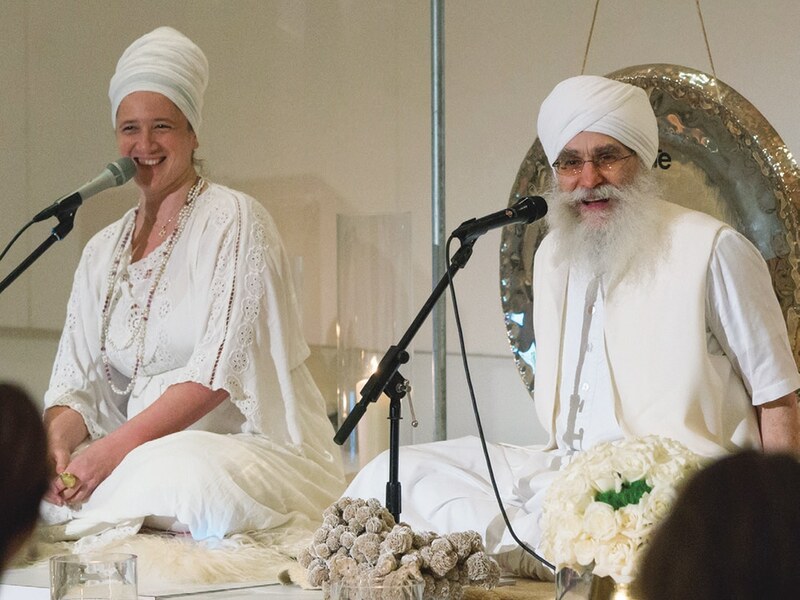 With millions practicing it worldwide (including devotees Kate Hudson and Alicia Keys), Kundalini Yoga is becoming a bona fide craze. Katie Jackson steps into The Sacred Space Miami to find her center. Why is everyone wearing all white? Was there a dress code? Did I miss that on the invitation? I came here to learn how to relax, and suddenly I’m hovering at an 8 on the calm-to-Gilbert Gottfried scale. You see, I’ve dabbled in yoga for years, hoping to someday nail Scorpion pose but truly only mastering Savasana. The fact that I’m not better at yoga actually stresses me out—especially when I scroll through my Instagram feed after a Netflix-and-wine evening and see my friends living their best mindbodygreen lives. So when my editor asked if I’d ever tried Kundalini yoga, a practice that is less about twisting your body into a pretzel and more about breathing and meditation, I was intrigued. And that is how I find myself arriving in head-to-toe black at The Sacred Space Miami—a crow in a sea of doves—for a special session with Los Angeles yoga master Guru Jagat. 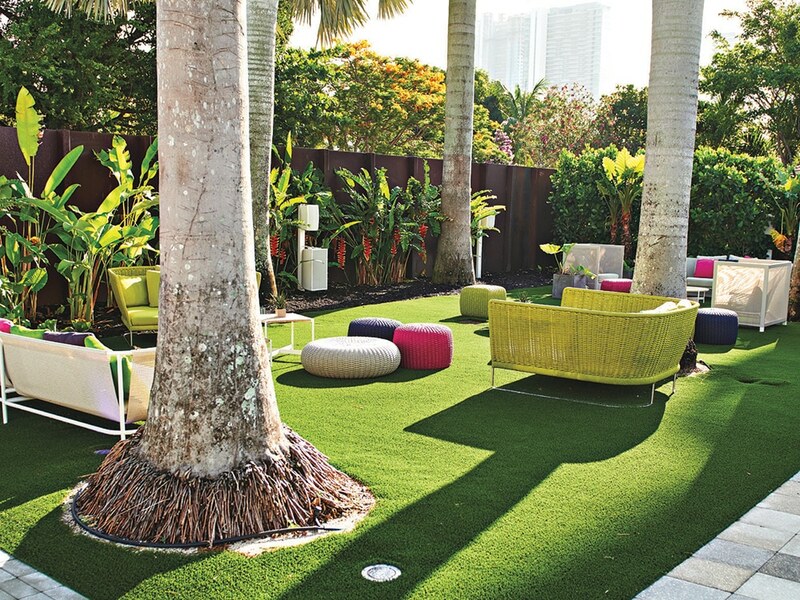 The Sacred Space Miami’s tranquil gardens.